Two new ARCH courses kick off! Two new ARCH courses are starting soon! Experimental Archaeology: Learning about Technologies in the Past will explore how craftsmen made a number of objects in the past. 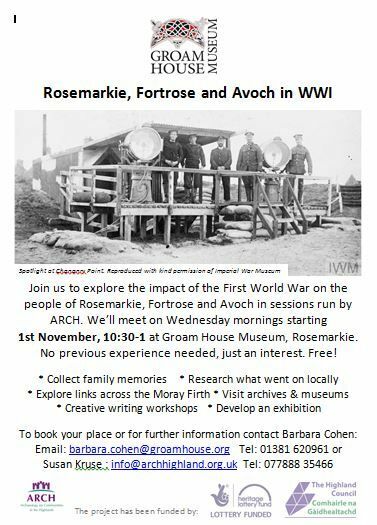 Funded by Historic Environment Scotland and the Heritage Lottery Fund, the first year of this project will have monthly sessions, many hands-on. 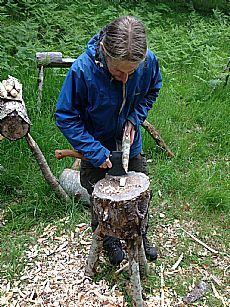 The first session is Saturday 28th October when Lachlan McKeggie will explore green woodworking through the ages. Drop in to Dingwall Community Centre, 11-3 and have a go, or watch Lachlan use stone and metal tools. Children very welcome if accompanied by adults. The full programme of monthly events is under development but contact us on info@archhighland.org.uk if you wish to be on the mailing list. For more information about the project click here. 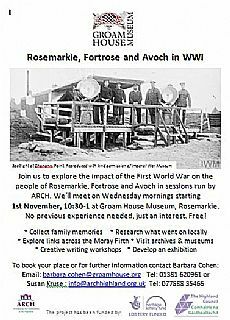 In addition, ARCH will be leading some sessions for Groam House Museum's project to investigate World War I activity around Fortrose, Rosemarkie and Avoch. We'll research activity and people, share memories, visit museums and archives and create a display. The first sessions will be on Wednesdays, 10:30-1 at Groam House Museum. All welcome - free!